Description: Drain and wash before use. Store in a cool dry place, do not use tin for storage after opening. 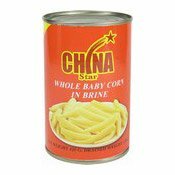 Ingredients: Baby corn (54%), Water, Salt. 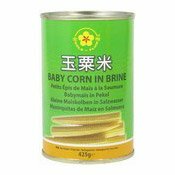 Simply enter your details below and we will send you an e-mail when “Baby Corn In Brine (珍珠筍)” is back in stock!